Experience Bien-Air’s Swiss-made quality at a value defying all logic. Boralina and Blackpearl Eco let you push the limits of your objectives with more potential and ability than any high-speed handpiece in their class. The opportune support you can depend on when you need to be ready for anything. 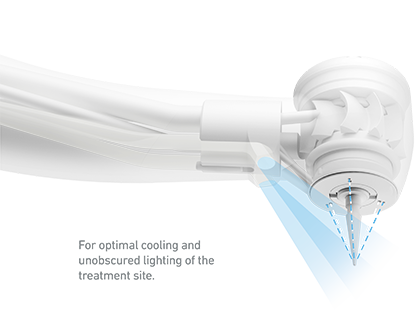 This ultra-precise nebulization system is composed of one separate air and water spray providing adequate cooling to the bur and treatment site. This proven bur-locking and vibration-canceling system vouches for optimal stability and precision, no matter the rotational speed. 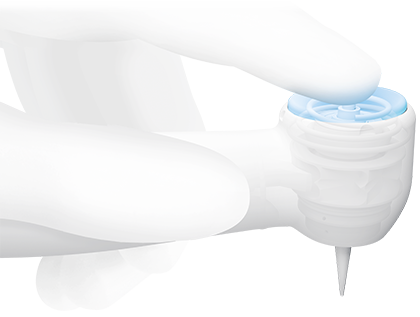 Assembled with Bien-Air's Soft Push™ button, bur release is quick and easy. Freedom of movement for optimum working comfort. Thanks to its light rotating Unifix quick-connect connection and an easy-to-use secure release, the Bien-Air turbine/hose combination will prove a pleasant work companion day in, day out. Bien-Air’s unique push-button insert locking mechanism. Light pressure is all that is needed. Bur changing is quick and comfortable. This mechanism guarantees firm yet precise locking. Do not immerse the instrument in a disinfectant bath.